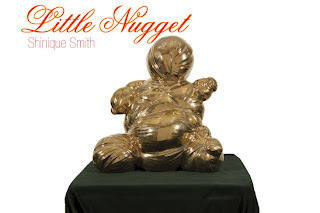 Shinique Smith currently has a solo exhibition on view, “Like It Like That” at The Studio Museum of Harlem until June 28, 2009 and an upcoming solo show of new work ‘Ten Times Myself’ at Yvon Lambert, New York Opening May 21, 2009 – July 31, 2009. Shinique’s work has been included in various exhibitions including, in “30 Americans” at the Rubell Family Collection in Miami, “UnMonumental” at The New Museum, “Recognize” at Smithsonian National Portrait Gallery and “Freeway Balconies” at The Deustche Guggenheim. She was a recipient of the prestigious Joan Mitchell Award in 2008.